WELCOME to ‘tickspics’, personal website of Tony Enticknap - a passionate and adventurous wildlife and nature photographer from East Dorset, UK. Although the origin of my surname and associated 'tickspics' web address can be found on the ‘about me’ page, it's suffice to say that ‘tickspics' is simply a name I adopted some years ago for my Flickr account and now use for all my photography interests. The ’tickspics' domain is my personal subset of internet space - somewhere I can display my photos and write about the places we’ve visited, species seen, or any other aspect of wildlife photography that takes my fancy. I’m passionate about nature and love travelling, and am fortunate that my wife Tris has similar interests including the desire to visit remote areas of the world where you can still see wild animals and exotic birds in their natural habitat. 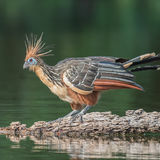 We particularly like the open savannahs and bush of East Africa and the Pantanal wetlands and rainforests of the Neotropics and it was our first experiences of those wonderful places that inspired me to start the website. But even though ‘tickspics’ is primarily a personal website in this respect, it’s one that extends a warm welcome to anyone with shared interests who have taken the time to read this brief introduction. I really hope you enjoy what you see and will ‘bookmark’ the site for future visits in order to periodically catch-up on our travel exploits and wildlife photographic adventures. SITE FORMAT - although it’s possible to intuitively navigate through the various sections of the website without reading the following notes, I feel that an explanation is worthwhile. The first thing to note is that I’ve purposefully avoided using messy drop-down menus. There’s just too much content, which is why certain sections have separate indexes and why I’ve gone to the trouble of including a clearly indexed and easily accessible ‘SiteMap’ with links to every page. The tabbed menu at the top of the screen only shows the main sections. Some information that may not be so appealing is placed behind the scenes and will have to be searched out. This is deliberate as it provides a far more engrossing experience than would be the case if you were just looking through a website full of photos - I want to make ‘tickspics’ more than that. If you’re only interested in the main sections then fine you don’t have to delve any deeper, but more detail is there for those that look. However, if I feel that a specific bit of additional information could prove useful, such as a species listing when viewing one of the ‘collections’ photo sets, I will have provided a direct link to it from the associated page. In addition to the ‘about me’, 'weblog’ (for occasional articles and personal ponderings), ‘InfoData’ (information directory and links) and ‘contact’ pages which are all relatively self-explanatory, I wanted to include some details about the amazing places in the world we visit, two photo galleries, and a journal. These are the sections that need a bit more explanation. 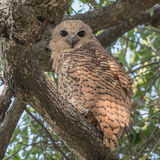 The ‘travel’ section is currently divided into three geographical regions - the Western Palearctic covering the British Isles, Europe and North Africa; the Afrotropics region of West, East and South Africa, plus the western Indian Ocean; and the Neotropics ecozone of Central and South America. The locations of the countries or regions we’ve visited are shown on simple maps, with some general information appertaining to those places on separate linked travel pages. I’ve tried to cram quite a bit of information into this section so, to keep the main menu tidy, I’ve listed all of the travel related pages together under a 'quick index'. This index also includes a number of pages not mentioned here such as my personal bird and animal lists. Alongside, and closely connected to, the ‘travel’ section is the first of my two photo galleries entitled ‘selections’. This is where you’ll find my location-based photo sets for each of the areas of the world we’ve visited. 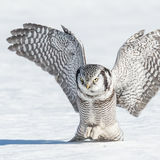 Each of these sets includes a varied selection of wildlife images from that specific region or country. I try to restrict the number of photos that I put into these sets, because I’d prefer to put images of the same species, particularly birds, together in their respective species set. I then have my ‘collections’ gallery, which contains quite a large number of photo sets allocated to specific species or related groups of species as noted above. These photo sets are primarily for birds as animal images generally look better when viewed as part of a ‘selections’ gallery. Each photo set has its own introduction and navigation aids so that you can move from one related set of images to another without having to go back to the parent gallery. 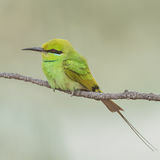 Photos are captioned with both the common and scientific name of the species, plus the location and date taken, and, within certain sets of images some snippets of information about the species. Every photograph has been taken by me and, apart from one particular ‘collections’ set of big cat head portraits, are of truly wild animals photographed within their natural habitat. Admittedly a few of these photos may have been taken from a designated hide and if that’s the case I should have made mention of the fact either on the photograph or within the associated location or trip write-up. Following the photo galleries I have my ‘journal’ section, which I've set up to serve two distinct purposes - one is for my quarterly diaries and the other for my travel journals and trip schedules. And to finish off, I want to again make reference to the ‘SiteMap’ as it really is the best place to hunt out some of the more obscure content. 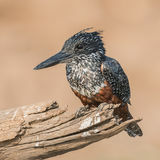 Probably the two most interesting ‘hidden’ topics are ‘avian taxonomy’ and my ‘African animals’ photographic guide, both of which can be accessed from a link at the top of the adjacent side bar. The taxonomy section has its own introduction and index with links to two information sheets and a number of taxonomy lists. So that’s it, if you’ve read this far then I must have said something that has aroused your interest. If that’s true, then I’m very pleased, because it was my intention. If you wish to leave any comments, however brief and whether positive or negative, then please do so via my ‘contact’ page as feedback is always appreciated. “the need to safeguard habitat and protect wildlife has never been greater - once it's gone it's gone, there will not be a second chance"
VIEWING PHOTOS - The size and resolution of the photos on this website have been optimised for desktop monitors and standard laptops, which is how I would expect my target audience to view them. The photos within the two galleries, 'selections' and 'collections', open in their own pop-up window, which provides a direct link to the next photo without having to go back to the set thumbnails - they do not expand to fill the screen as this is not a 'responsive design' website. Conversely, some photos may appear slightly oversize if viewed on a notebook or very small laptop such as the mini 11-inch MacBook-Air. Accessing and navigating the website, or trying to view photos, on a smartphone or similar size device is not recommended. WEBSITE MAINTENANCE (June 18) - It’s exactly a year ago that I made ‘tickspics’ live (see here), during which time I’ve been really pleased to see interest in the site gradually grow, such that I now have a few hundred visits every month with quite a number of people returning. This fact has prompted me to review and update certain pages or sections. Most changes have been integrated into the system without disruption, but the 'D850 blog' and the virtually unused ‘weblog’ section are being completely revamped and, as such, are temporarily hidden, albeit still accessible via the ‘SiteMap' index. I’m also mindful that the ‘my gear’ section was never properly completed and is now out of date. It’s on my ‘to do list’, but with other commitments it may take a while before I’m able to look at it. The good news though is that the ’travel’ section and the two photo galleries are current and include new content. In this respect I’m very aware that, apart from the ‘latest updates’ shown in the sidebar, any new photos, or photo sets, being added to either the ’selections’ or ‘collections’ galleries are largely going unnoticed. That’s a pity, so I need to find a way of making those changes known. I may even introduce some form of e-mail notification system if people are interested. The website is a long-term project and will continue to evolve. LATEST UPDATE : the 'weblog' section was reactivated on Tuesday, 14th August 2018 and the 'D850 blog' permanently deleted - other changes are ongoing. If you read right through the panel opposite you’ll see that this is a personal website, with an emphasis on wildlife travel as well as wildlife photography. There are a lot of hidden pages relating to travel, that are best accessed from this 'quick index'. The other sections should be self-explanatory. Click here for a useful glossary of wildlife technical terms, acronyms and associated jargon. link to all six images. 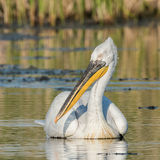 "www.tickspics.com - more than just another wildlife photography website"